Day Four of the Santa Barbara Vintners Road Trip Los Angeles explored how Bordeaux varietals have found their niche in the newly carved out AVAs of Santa Barbara County, Happy Canyon and the Los Olivos District. As these warmer inland areas have distinguished themselves, winemakers are still figuring out how to define and market this relatively new sector of wine, from Sauvignon Blanc, Merlot, Cabernet Sauvignon, Cabernet Franc, and Petit Verdot. The Bordeaux Wine seminar delved into six wines, one Sauvignon Blanc, one Merlot, and four Cabernet Sauvignon blends, with six winemakers discussing their journey through a labyrinth of sites, soils, clones, and winemaking techniques. Rick Grimm of Grimm’s Bluff, Greg Martellotto of Martellotto, Tyler Thomas of Star Lane, Bradley Long of Grassini, Fred Brander of Brander, and Steve Beckmen of Beckmen shared their experiences, moderated by writer Matt Kettman, and recognized they’re on the cusp of discovery. These Bordeaux varietals express themselves so differently in various corners of the world. Think of Sauvignon Blanc, with its classic home in the Loire Valley, complex, crisp wines with mineral and herbaceous notes, and some with a flinty accent. Then there’s New Zealand, with its laser pure and pungent wines, a curious blend of tropical fruit and green vegetable aromas and flavors. In the Old World region of Bordeaux, it’s often a blending grape with Semillon, aged in oak for more texture, lending a rounder, fruitier character to the wines. California’s Sauvignon Blancs seem to be searching for an identity, with all three styles found here. Merlot, once California’s most popular red wine, suffered the “Sideways” effect over a decade ago, and not just because the movie maligned it as inferior. Quality had suffered from overproduction and consumers embraced other red wines. But Merlot is an integral part of Bordeaux wines, responsible for some of the great wines of the world. Today California Merlot is a bargain, where only the finest survived, worthy of drinking once again. Greg Martellotto poured his 2014 Merlot from Happy Canyon, showing love towards the once-popular grape that has fallen out of favor. Martellotto was inspired to make this small production Merlot, since as a distributor himself, he received a lot of interest from restaurant sommeliers searching for a good Merlot to offer by the glass or bottle. Martellotto observed, “Stylistically, this Merlot has a lot to offer consumers, I often look for Merlot when I go out, because it’s great value, it’s hard to beat.” This wine was essentially a blend, 75% Merlot and 25% Cabernet Franc, which Martellotto felt, “really fleshes out the wine”. Made in 25% new French oak, he said, “The wines I tasted in Bordeaux that I like best were 100% new French oak, I don’t mind oak, I like oak.” Kettman mused, “Merlot has a variable identity in the market, sometimes you don’t know what it is, when it is over-oaked, it’s smoky, but can be tasty. This wine is fresher, which is definitely trendy right now.” Martellotto summarized, “The Cabernet Franc from Happy Canyon, for me, is what really gave the Merlot that extra layer, it’s what a chef would be doing, that’s what blending is all about, adding layers of flavor, different profiles to the wine, and different spices so that it becomes a more interesting wine.” As far as its marketability, Martellotto conceded he’s still fighting an uphill battle to get people to try Merlot, but since he only made a small amount, it hasn’t hurt his bottom line. Cabernet Sauvignon, considered the King of wine grapes, inspires legions of wine lovers, from the more restrained, savory wines of Bordeaux, to the highly concentrated, fruity wines of Napa Valley. But it’s within California’s own borders that Cabernet is seeking definition, from Paso Robles, Napa Valley, and now Santa Barbara County. 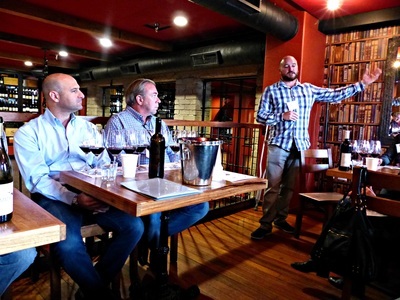 The other four wines were either 100% Cabernet or incorporated a small percentage of either Petit Verdot or Syrah that still retained that Cabernet character. 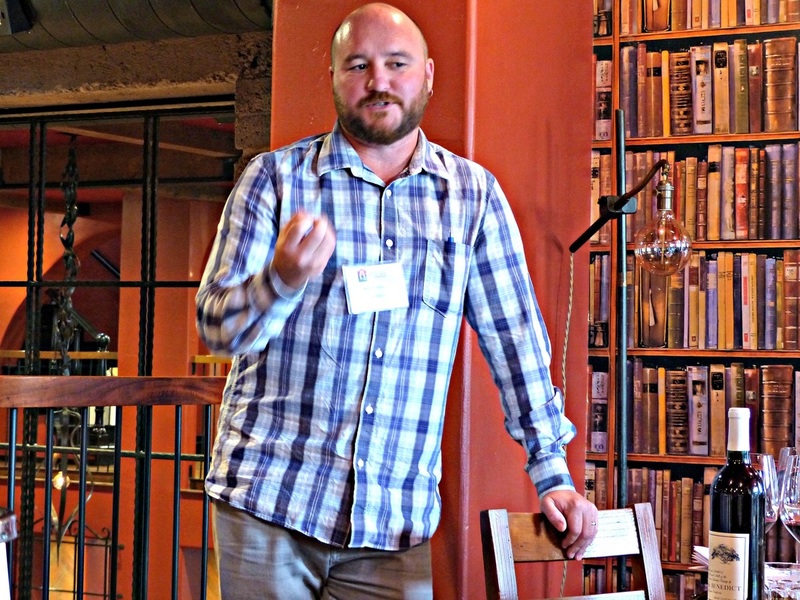 Tyler Thomas presented the 2013 Star Lane Vineyard Cabernet Sauvignon Happy Canyon, excited with its development and potential. Thomas came from Sonoma County just a couple of years ago, and once he saw the beautiful and iconic Star Lane Vineyard, owned by the Dierberg family, he was stoked, “We can do legitimate Bordelaise style wines that, they’re not Napa, we’re not trying to make Napa wines, we’re trying to put our own flag in the ground, and really have something distinct.” Kettmann added, “These wines are great, they’re not trying to be Paso, they’re not trying to be Napa, those big rich fruit bombs, which also can be great wines but it’s a completely different style. There’s a lot more nuance to these wines, the wines are more like Bordeaux than California.” And Thomas agreed, “If you were to take what we know makes Bordeaux vintages great, with 40 years of research in California, combine that knowledge, and dream up a new area for Cab, you’re dreaming up Santa Ynez Valley, the Happy Canyon area, with its limited rainfall, free draining soils, warm climate, you’re going to get that flavor development, and diminish the greener element.” As far as interpreting Cabernet in this area, Thomas remarked, “We think, as a California Cab producer, the wines should have a certain degree of richness, but we don’t want that richness to be contrived, we don’t want it to be at the expense of some kind of freshness, whether fresh herb or fresh fruit, flavor in addition to the actual acidity in the wine.” He consulted with fellow winemakers in Napa, and was told that making Cabernet was all about the tannin, paying attention to getting the texture and tannin right. Thomas offered, “I hope you feel that full texture, kiss of tannins at the end, I think the wine is extremely primary, I think it will age well.” He continued, “We’re trying to represent the heartbeat of Star Lane, with this wine, like on the coin, “E Pluribus Unum”, out of the many, one”. Bradley Long provided the 2013 Grassini Family Vineyards Cabernet Sauvignon Happy Canyon, a 90% Cabernet Sauvignon, 10% Petit Verdot blend. Long commented, “ I’m a sucker for color, which is why I like adding a little bit of Petit Verdot, because it gives a lot of color and a nice mouthfeel as well.” This love affair with deeply colored wines framed his winemaking decisions. Long observed, “I find a lot of importance in clones, we planted clones on the darker spectrum, when berries get mature, the concentration and depth in color and the flavors that come out of there are just absolutely outstanding and extremely concentrated.” Long also moved south from Napa Valley, and when he first saw Grassini’s Happy Canyon estate vineyard, he was thrilled, “Seeing that property was absolutely amazing, the way the grapes were farmed, the vines were trained, I knew the potential that could come out of that property and out of Happy Canyon”. Fred Brander supplied his 2014 Brander Vineyard Cabernet Sauvignon Reserve Santa Ynez Valley, a 100% Cabernet, and departure from his usual Sauvignon Blanc specialty. Brander has been experimenting with small lots of estate Cabernet, and it’s not his first time cultivating it, he’s had 40 years of experience with Cabernet. He helped fuel the movement to add another AVA to the Santa Ynez Valley, the Los Olivos District, because “I think in ten years Santa Barbara is going to be better known for its Cab than its Pinot, that’s where the money is.” This 100% Cabernet Sauvignon from Brander’s Los Olivos estate vineyard reflects a Bordeaux style, with red and blue fruit, vanilla bean, tobacco and leather notes, alongside mineral accents. 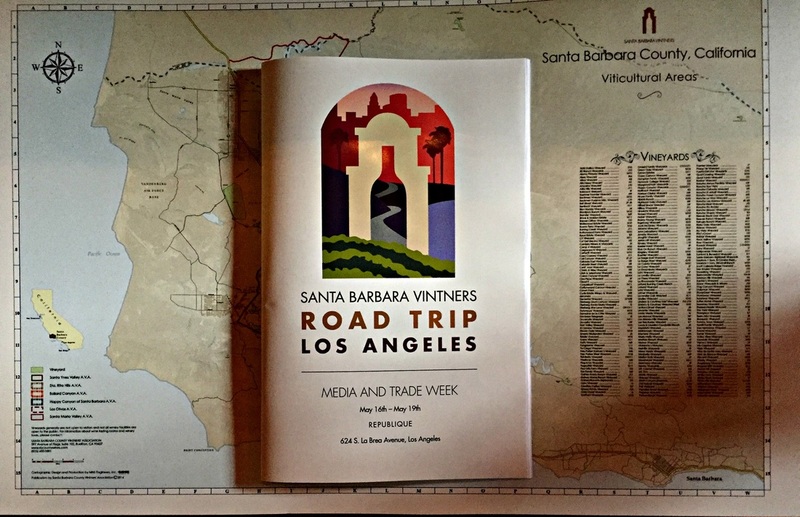 Brander noted, “I’m glad we can finally sit in a room and taste good Santa Barbara County Cabernets”, and he has certainly done his part to educate people’s palate as to the possibilities of quality and distinct Cabs from this part of the area. And so the grand experiment continues, with these passionate winemakers tinkering with all the variables that go into a bottle of wine, to bring an uniquely Santa Barbara County expression to their Bordeaux varietal wines. Currently in its infancy, the next few years will be exciting, as they fine-tune and improve on the promise of Bordeaux, with wine drinkers the happy recipients of their liquid laboratory.